Once upon a time, n otes Michael Riley, all plants were born outside. Yet most folks who grow African violets and other gesneriads grow them indoors. 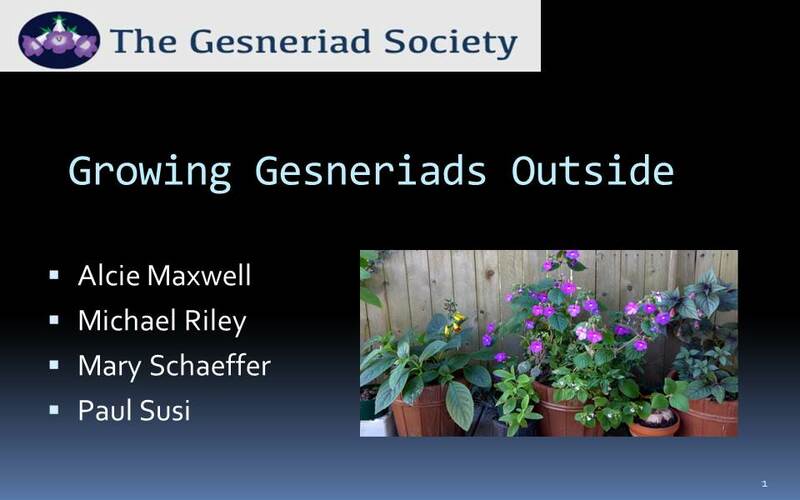 But not everyone; the four speakers featured in this Gesneriad Society webinar will share their adventures in various aspects of outdoor growing. Please join us for this very enjoyable and informative hour. After seeing this session, you will be inspired to give a few of your own gesneriads an outside vacation this summer. You can download your own copy of this webinar here.